Authentic Hom Mali, our aromatic and delicate Jasmine rice is also organic & fairtrade. 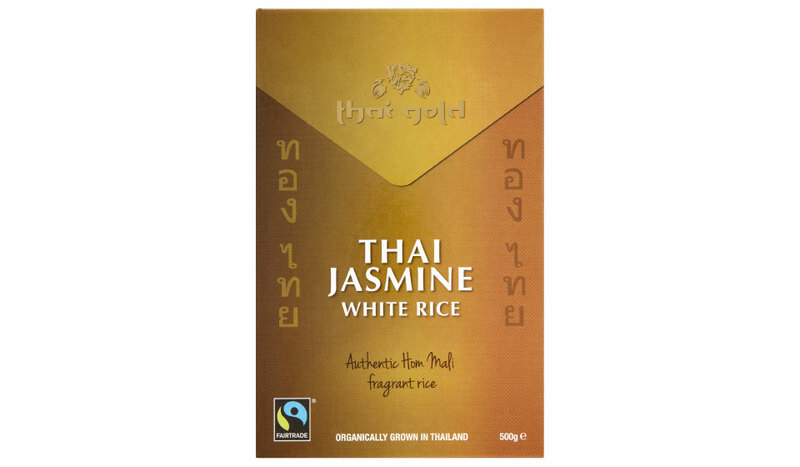 Thai Gold Organic Jasmine Rice or Khao Hom Mali is also known as Thai fragrant rice, a light, delicate compliment to any Thai Meal. It is a long-grain variety of rice that has a subtle nutty aroma. Hom Mali is mainly grown in the North Eastern plateau of Thailand, known as 'Isaan', where only one rice crop per year is produced. 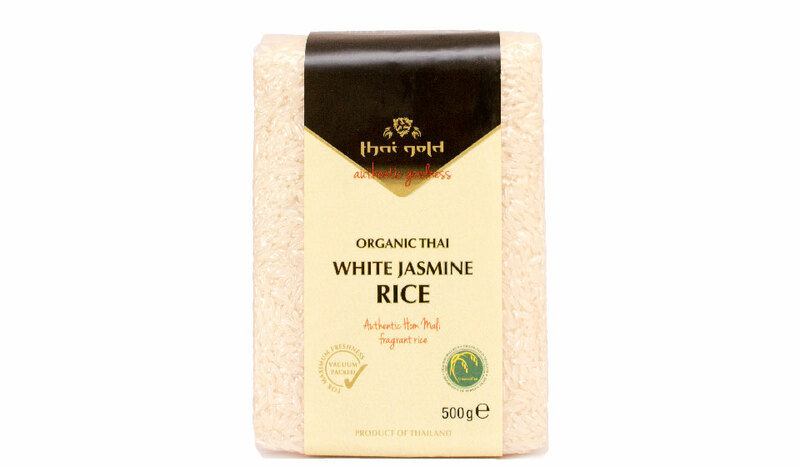 Organic Thai jasmine white rice 100%. We believe strongly in the organic principles of production, as we believe that we must limit the effects of food production on the environment and also limit the buildup of insecticides and herbicides in our bodies. Know more ?? Rice, like all commodities grown in the developing world, lends itself to control by large trading companies. These companies are naturally profit focussed, though unfortunately they often fall into the trap of becoming exploitative of the small farmers that rely on them to sell their product. Fairtrade is the mechanism by which we, as educated consumers, can make a difference to this status quo. Know more ? ?